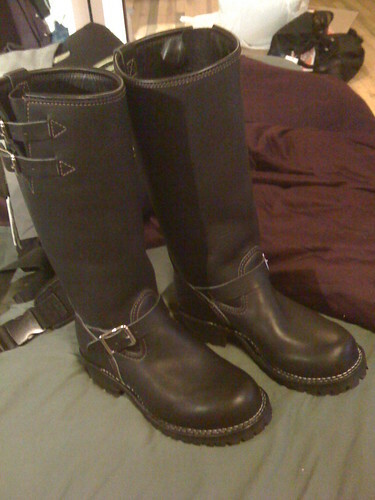 New boots means photos of boots. - A dirty dirty dirty Pandora's Box of Hell. New boots means photos of boots. This might not count as a part of the whole picture meme, but I'm gonna do it anyway. First, a photo of the new boots. 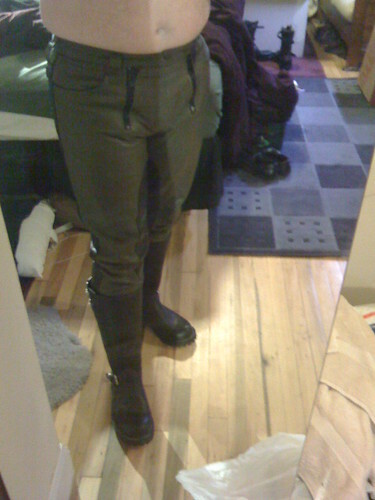 Me trying the boots on while wearing The Pants. Finally, the boots for sale. I do believe the last time I saw you in those delightful pants, a really hot chocolate boi was licking your inseam. Oh, and yeah... you were being a little mean. Mmm... nice memory, thank you. It sure is a nice memory. Mmmmm. Hello, STALKER. You have been friended. Google Ads is trying to tell me about something called S.T.A.L.K.E.R. now. Contrary to popular belief, there are a few things that don't get a rise out of me. Not as many as the general populace, yes... but there are some. i want these. a lot. Me too. Unfortunately my goddamned calves are too fat muscular. It looks like a perfect perm, doesn't it? People with straight hair often tell me they hate me, which is ironic because I hate them. I knew it was curly/wavy, but you don't usually wear it long enough for it to curl up like that, at least when I see you. I give the idea of a little length on the top a two thumbs-up. Am I missing something? Other than being new, what is different about the new boots and the for sale ones? They are the same style and brand, yes. The difference is the new pair are custom made for me, and thus will fit much better. 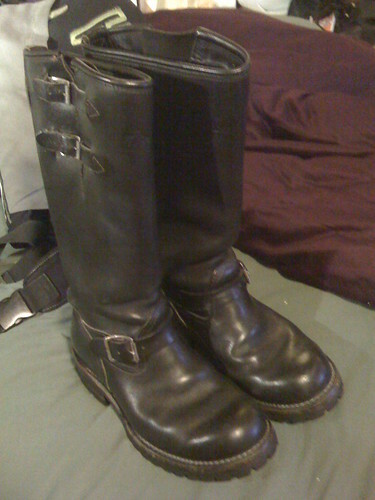 The old boots buckled at the ankle on me because they aren't sized right for my dimensions. They were the first major pair of boots I bought, and in my youth I couldn't wait long enough for a custom pair. I had to own the same pair of boots lolitasir had right now right now.